In today’s customer service operations, contact volumes can be moving targets. And when you factor in multiple sites, expanded media options, staff proficiencies, work preferences, and customer expectations, the task of forecasting and scheduling can become difficult to manage without sophisticated analysis. 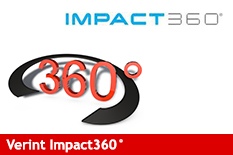 That’s why Verint® Systems offers Impact 360® Workforce. Verint market leadership and innovation are widely recognized by industry analysts and consultants and Verint customers and partners. As a leader in enterprise and security intelligence solutions, Verint is the recipient of many industry awards and accolades. Verint innovation is evidenced both by our reputation and over 520 Verint patents and patent applications worldwide since our founding. VSP Vision Care is the largest not-for-profit vision \benefits and services company in the United States, with more than 55 million members and over 26,000 doctors. 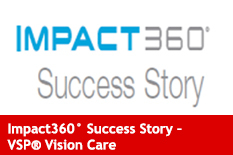 Headquartered in Rancho Cordova, California, VSP Vision Care has two contact center locations in the U.S. that handle 20,000 – 25,000 calls per day.